Mixed Media Sculpture by George S. Stuart. Photo(s) by Peter D'Aprix for the Historical Figure Foundation. For commercial use of images or to arrange interviews and obtain more information about the artist and his work, contact info@galleryhistoricalfigures.com. Seaways' Ships in Scale Magazine, describes the ship that Lafayette had built to take supplies to Washington's Continental Army. A full scale, seaworthy replica is being built in France , and will once again sail for the Americas. George Stuart remembers his lifelong affinity for Versailles and the royal residents. Brief video comentaries by George Stuart about each Russian Historical Figure can now be vfiewed on their respective pages on this website and on TouTube. In this article Stuart describes how he created five Historical Figures of Abraham Lincoln and along the way became one of the President's ardent admirer's. George Stuart presents a history of the Borgia family during their time in Rome. Runtime - 35 mins. Available on YouTube (link at left). Available on Vimeo (link at left). at the Crowne Plaza, in Ventura on October 7, 2012. Video includes Madrigali Singers, Stuart welcome, Renaissance Costumes, Model Credits, Marketplace, Portrait Gallery. Welcome Letter - Leroy Becker * Renaissance Fashion Show Program * Costume Marketplace * Thanks to . . .
Interview by Georgeanne Lees and Richard Newsham of Ventura Cultural Arts Commission. Includes segments with Leroy Becker Executive Director of Historical Figures Foundation, Angel Jones Events Director of Carnevale Ventura Commission. Robert Lamarche and Jennifer Ridgway are interviewed in character as Juan and Lucretia Borgia. Two-page article announces the Carnevale Ventura events in February 2012 and the lead up Designers' Renaissance Fashion Show & Marketplace. Brochure describes the Mini Time Machine Museum exhibition of George Stuart Historical Figures that played a part in the creation of the State of Arizona. Figures exhibited include Queen Isabella (1492), King Ferdinand (1492), Christopher Columbus, Pope Alexander VI , Hérnan Cortés, Moctezuma II v.2, Malinche, Aztec Leopard Warrior V.2, Father Eusebio Kino, Jedediah Smith, Kit Carson, Abraham Lincoln 1863, John Fremont and Jessie Freemont. Book cover for fictional history involving Cardinal Richelieu, written by Joāo Santos Fernandes. Published in Portugal by FRONTEIRA DO CAOS EDITORES, Porto. discusses his background and the Historical Figures with Host Neil Andrews , Ventura City Councilman . Available on CAPS-TV web site (link at left). See Episode 66. The William J. Clinton Presidential Library "Revolution and Rebellion: Wars, Words and Figures." Description of exhibit and images of the Historical Figures of the Revolutionary and Civil Wars. The American Constitution "the genius of the people must be consulted". Illustrated Historical Figures of John Marshall, Benjamin Franklin, George Washington, James Madison, Alexander Hamilton and John Jay. Full sized poster can be ordered through the Shoppe. The Gallery Guide is a preview of the Historical Figures of the American Revolutionary and Civil War times that will be on exhibit at the William J. Clinton Presidential Library from December 11, 2010 to May 22, 2011.
by Alan Golden. Includes images of Enslaved African, Queen Victoria 1861, Aztec Leopard Warrior, Roman Legionary, Holocaust Victim, Landsknecht, Hoplite, Robert E. Lee, Norman Kniight, Boltar, Napoleon, Henry VIII, American Mountain Man, Mounted Lakota Warrior, Zulu Warrior, Frederick II the Great, Gen. John Burgoyne, American Warriors, Louis XIV Equestrian, Russian Serfs and Francisco Pizarro. includes images of Gilles de Retz, Frost Giant, G. S. Stuart, Abraham Lincoln, construction methods, Junipero Serra in progress. Henry VIII , Ann Boleyn, Elizabeth 1, Mm. de Pompadour Article (b/w). George Stuart is interviewed by Ellen Seiden. Eight pages of spectacular Images and prose about the Historical Figures and their creator, including Queen Victoria 1890, Queen Isabella, Pope Alexander, Cesare Borgia, Lucretia Borgia, Louis XVI, Marie Antoinette (court), Marie Antoinette (guillotine), Robespierre, Dutchess de Polignac, Henry VIII, Queen Elizabeth I, Mary Tudor, Cardinal Wolsey, Earl of Essex, John Adams, George Washington, James Madison, Dolley Madison, Aaron Burr, Alexander Hamilton, Thomas Jefferson, John Marshall. A brief review of the Historical Figures from the point of view of miniaturists. Includes images of Lincoln, Pope Alexander VI, Marie Antoinette, Louis XIV, Henry VIII, General Burgoyne, Boris Gudanov, Alexandra Federovna, Elizabeth I, Lorenzo de Medici, George Washington, Napoleon Bonaparte, Catherine de Medici, Pope Alexander VI. The art of George Stuart is explored including six of his Native Americans plus Generals Ulysses S, Grant, Robert E. Lee and John Fremont, who were all deployed against them during their military careers. Four pages review the artist, historian and entertainer. Figures include Henry VIII, Bourbon King Charles X, Hagen & Gunter from Das Nibelungenlied, Middle East Dancer Ecstacy, Nancy Kelsey, Queen Marie de Medici, Queen Uta, Etzel, Lakota Warrior on Horse, Saluting Brave and Construction Methods. Beautiful 110-page book summarizing the collections in the museum. Several of the 22 Historical Figures in the Stuart Collection are pictured here for the first time. The book is now out of print, but several copies are available on the internet as of April, 2012. Catherine the Great in Coronation Regalia Featured in “Diamonds Are Forever” Exhibit *New Historical Figure of Shah Jahan Headlines the Stunning “Diamonds Are Forever” Exhibit * Foundation Members Sponsor New Emperor’s Clothing * Opening reception is a first look at a fabulous exhibit and a close-up of Scott Sucher’s Diamonds Collection * Diamonds & Gems Go Hands-On for Kids! * Where in the World is Winston? Rise of the Norse Gods? * Song of the Open Road - George Stuart Remembers * Fact vs. Fiction - Stuart Critiques Hollywood * New Chinese Figure Captures Tzu-Hsi as Young Concubine * Famous Diamonds to Meet Historical Figures in 2014 Exhibit in MVC Smith Gallery * Video Clips of Russian Monolog hit HFF Web Site, YouTube. Let Them Eat Cake Exhibit and Monologs. 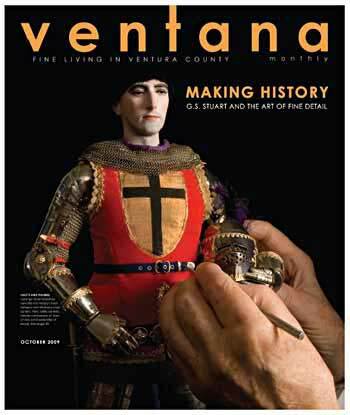 Renaissance Fashion Show Introduces Historical Figures® to a New Audience * Empress Revised * Nixon Sparks Collection * Mr. Schiffer * Ambassadors Presented to Ventura City Council, Ride in County Fair Parade * Get Art Smart Interview Brings Figures to Life. * Gino Stands in for Lamarche at Rubicon Theater's "As You Like It" * Historical Figures Will Soon Have a Puzzled Look * Stuart's First Web-Aided Seminar: Successful * Current Stuart Monologs - "The Dragon Awakes"
Nicolo Machiavelli Figure Adds Political Depth * Stuart Monologs Describe Conquest of Americas * Lucrezia Borgia Costume by Shelley Rogers * Fund Enables Costumes for Borgias, Others. Tudor & Borgia Wiki Features Historical Figures * Clinton Exhibit Breaks New Ground * Renewing Members Replish Foundation Reserves * Foundation Increases Outreach, Gets Google Grant * Bourbons to Follow Romanovs at MVC * New Format for Newsletter. Introducing a new, young Charlotte Sophia * Upgrades of Duchess of Kendal and Countess Darlington * New Lone Woman of San Nicolas Island * Monologs in new Pavalion at Museum of Ventura * Website enhancements * Clinton Presidential Library exhibit report at annual meeting. Winter Palace Historical Monologs Set for June Sell Out * Your Vote Counts: Foundation Summer Gathering * Help Bring the Founders, Patriots and Lincoln Era Figures to the Foundation Website in 2009 * Russian Group Photography Completes Grant Project * Henri and Stuart Pen Article for Figurative Art Magazine * Norse Dragon Fafnir Undergoing Major Restoration * Enhanced Website Now Foundation Project * New DVD Will Curl Your Hair—Color and Style It, Too! * Special Sale of VHS Tapes of Intros to Stuart, Figures * Introduction of Romanov Russia DVDs Delayed. Search Begins for Two Missing Figures Monsanto Fashion Models * Early California Figures Support Ojai Program * Hollywood’s “Blond Bombshell” Lived Fast, Died Young * French Entertainer Was the Toast of Paris Night Clubs for Half a Century * Public Invited to Videotaping Sessions at at TDC for Bourbon Monologs * Figure Building Workshop Scheduled for November Seminar * Early Photos Monsanto Collection Reveal Four More Missing Figures * Jedediah Smith Society Features Namesake Figure after Careful Examination * July Newsletter Ends Current Subscription Year. Stuart’s Earliest Figures Please Smithsonian Visitors after Fifty Years of Display * Ojai Valley Museum to Honor Stuart’s Work * Master Portraitist Completes Digital Imaging of English Figures * New Web site to Bring Historical Figures to Public * A Year of Progress and a Promising Future * Thanks to Our Volunteers * Subscription Renewal Time! Missing Historical Figures Tracked to Spokane * Exhibit, Seminar: Hits of Boston Expo * VCMHA Builds National Tour around . . * George III Returns for Fall Exhibit * W A Mozart Visits Briefly . . . * New Gallery Website and Archive Underway * Stuart Gives First Computer-aided Monologs * Efforts Begun to Video Tape Last Reprise of Monologs * Gallery Now Accepting Membership. * Stuart Shares Professional History, Introduces Newest Historical Figure * Artist to demonstrate classical Chinese embroidery techniques for Stuart’s newest Historical Figure® * Book signing is an opportunity to share Historical Figures with friends and family.